Where Is The 4-Leaf Clover? 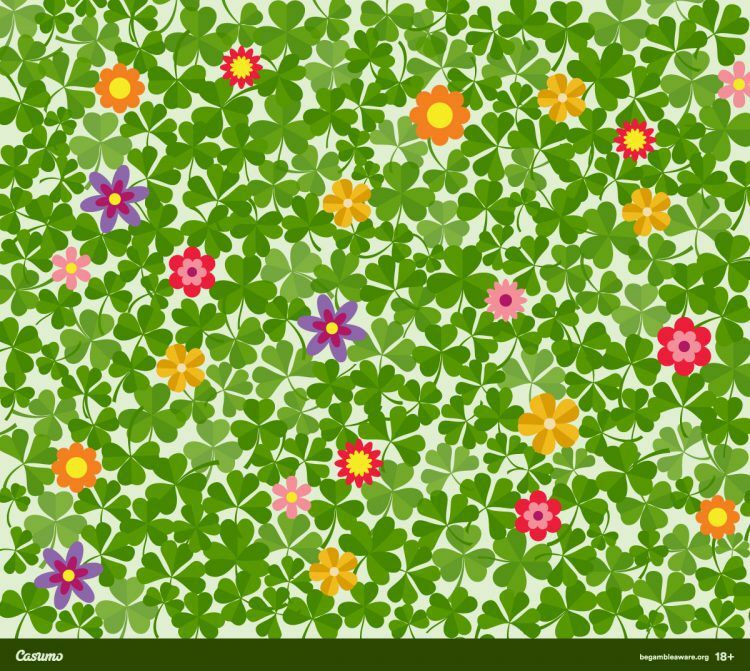 Can you spot the four-leaf clover in this tricky puzzle? A clover leaf with four lobes is thought to bring good luck. Calling all hay fever sufferers: With pollen counts continuing to soar this week, can you spot the single four-leaf clover hidden amongst a field of pollen-producing flowers? ‘With any luck, this puzzle will prove to be a distraction from your runny nose, itchy eyes and scratchy throat,’ says Greg Tatton Brown from Casumo.com, which came up with the puzzle. ‘Statistically a four-leaf clover appears in nature for every 10,000 of its three-leafed brethren, so your chances of spotting our single quad-clover are significantly increased here.